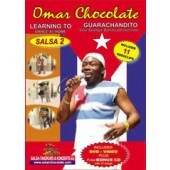 Omar Chocolate was born in Havana, where he studied music and dance. 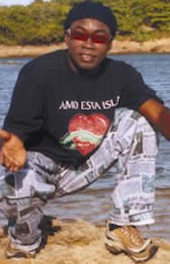 Since his earliest childhood he has known the Afro-Cuban rhythms. He lives in Switzerland since 1992 where he works as a dance teacher and singer with his own orchestra. "Originally I've learned to dance with my grandmother", says the Cuban and adds: "In Cuba dancing is part of daily live and is passed on from generation to generation." Omar designates dancing as an "expression of a feeling of life". It should bring people together and mediate between different nations. When Omar hears a familiar rhythm he can't stand still. Salsa flows in his blood. "In the beginning many people are inhibited and tensed, because Salsa contains a bit of eroticism. His recipe is his own music that thrills everybody. In his classes there is a relaxed atmosphere which promises a lot of fun. After a course everybody is sufficiently prepared to try out his knowledge in one of the many Salsa Clubs. "In our dance lessons people of any age - from 1 to 100 - can participate, because dancing is enjoying and enjoying is a human right."